Neutral coloration designed to more closely match float glass. Advanced manufacturing process eliminates the added cost of surface polishing. 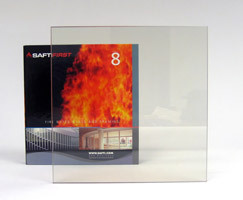 Laminated glass ceramic meets the highest human impact safety requirements. Readily available through our factory direct Quick-Ship program and our nationwide distributor network. Insulated, obscure and other custom make-ups available. 20-90 min. Sidelites Windows Transoms 3,143 in² 75" 75" 5/8"
20-90 min. Doors (Non-Temp.Rise) 2,736 in² 36" 75" 5/8"
up to 180 min. Doors (Temp. Rise) 100 in² 12" 33" 1/2"
PYRAN® Platinum L by SAFTI FIRST is listed and labeled by Intertek/Warnock-Hersey Inc. and Underwriters Laboratories, nationally recognized testing laboratories approved by OSHA. 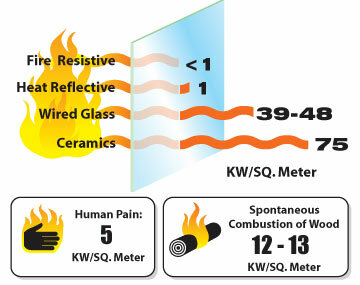 All ceramic products do not meet ASTM E119 or NFPA 251 and should not be used in such applications. 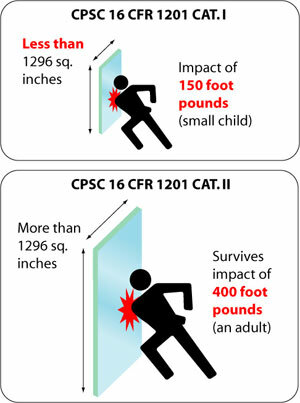 UL 9, UL 10B, UL 10C, NFPA 80, NFPA 252, NFPA 257, ASTM E2074, ASTM E2010-01, CPSC 16 CFR 1201 Cat. I and II, ULC CAN4-S104, ULC CAN4-S106.